Don Daily, a founding partner of Cactus Records and member of Houston’s prominent Daily family, passed away July 31. 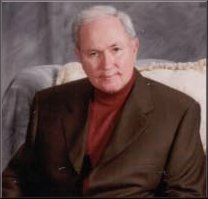 He was 81 and died peacefully in spite of a long struggle with Parkinson’s disease, according to the Houstonpress.com. In the mid-’70s, Don was credited as producer on three singles by George Strait for D Records, the label owned by Don’s father, H.W. “Pappy” Daily. Twenty years later, the singles were re-released on the 1996 set Strait Out of the Box. Don Daily. Photo courtesy of Glad Music Co.
Daily’s father built a company that eventually included nearly every aspect of the music business in Southeast Texas: retail, management, record labels, publishing, distribution and even performance – family member Mike Daily is an original member of Strait’s Ace In the Hole Band. Daily Sr.’s label Starday Records had a string of hits including George Jones‘ “White Lightnin” and the Big Bopper‘s “Chantilly Lace.” Don and his brother Bud later opened Cactus Records in 1975. Current Cactus Music partner and general manager Quinn Bishop describes Daily as “proud, but very unassuming about the Dailys’ contribution to [Houston’s] musical heritage. Daily was a widower who had been married to his late wife Helen for 35 years. He is survived by five children, several grandchildren and numerous other relatives. His memorial service was held Wednesday (Aug. 7) in Houston.